Looking for a Payday Loan in Rock Island, IL? In 2015, Nerdwallet posted an article with Best Small Cities in the U.S. based on the quality of life, affordability, and economic health, placing Rock Island in 32nd place. The city is also on the list of 25 most affordable housing markets (a ranking issued by 24/7 Wall Street.) Rock Island has something for everyone, whether you go there to stay or are on a short vacation. Visit Illinois Lending website to apply for an online or in-store loan, get approved today, and you’ll get the money you need to cover your expenses in Rock Island, IL. 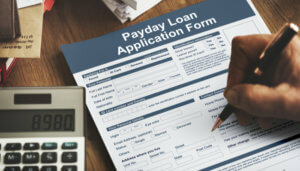 Note that Illinois Lending is not a payday loans provider because the loans we provide are a less expensive borrowing method that doesn’t come with hidden fees. With a personal loan approved by Illinois Lending, you can take your family to Rock Island and visit the Black Hawk State Historic site. It’s a 208-acre park located in the middle of Rock Island. There, you can see how things were simpler not that long ago. Take a 6-mile hike or throw a picnic with your family, and breathe in the history of this beautiful historic park. Next, you can take a walk to the Quad City Botanical Center to experience Art in the Garden – an event inspired by nature, paired with food, music, and art. If you’d like to check out more historic places, you can head to the Connor House and Colonel Davenport House. The first one was built around 1870 and owned by the Connor family after 1906. The Colonel Davenport House is a Federal-style mansion built in 1833 and an old type of house that exudes old energy. George Davenport was a businessman, provider, settler, and homesteader who served in the U.S. Army during the Black Hawk Wars. Visit the house to find out more about the back story. The Rock Island Arsenal Museum is something you shouldn’t miss while in Rock Island. It’s one of the best museums of military artifacts and a great experience for those interested in armory, military, and guns. Also, there’s the Fryxell Geology Museum which was created in the late 19th century, when science, evolution, and archaeology all tied into each other. You can see prehistoric skeletons and learn about their individual story. Illinois Lending has been providing affordable, easy-to-qualify, and quick loans since 1996. Our customers can repay their loans in several installments, which makes our loans different than payday loans (which must be repaid in total from your next paycheck.) We run no credit checks, the application process is quite comfortable, and we can approve your loan the same day you apply for it. You can apply for an online or in-store loan (which you can pick up in several of our locations) and cover your Rock Island experiences the way you desire! We encourage our customers to compare our rates and terms to see why they shouldn’t rely on payday loans, which have become notorious because of their aggressive lending and collection practices. Sign up for a loan in Rock Island today!